Yes, it’s National Rally time again. This year you are all invited to the small Welsh Village of Talybont-on-Usk. The site is situated just off the A40, approx. 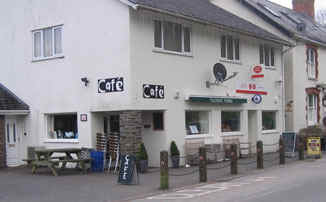 5 miles east of the military town of Brecon in the heart of the Brecon Beacons National Park. The rally site is Talybont Farm Caravan and Campsite, Talybont-on-Usk, Brecon, Powys. LD3 7YJ, the site is a registered site so anyone wishing to attend earlier or stay later can do so by contacting Lydia Jenkins on 01874 676674, she is biker friendly, she even puts up with our close friends in the MZRC. Please make the effort and attend our National Rally. It is a once a year opportunity for us all to meet up with old friends and make new friends, have a chance to see and share our love for all things Jawa and CZ. Don’t feel obliged to arrive on a bike, plenty of members arrive by car or camper van and are made just as welcome. We will have the option to take some time out from enjoying ourselves, to attend the all important AGM. Travelling on the M4 over the bridge turn off at Junction 24 and take the A449 signposted Monmouth and Abergavenny, this road joins the A40, follow the signs for Abergavenny. On reaching Abergavenny stay on the A40 following the signs for Brecon, you will then see the sign for Talybont-on-Usk (also a Jawa-CZ rally sign). Turn left off the A40 into Talybont then follow the Jawa-CZ signs into the campsite. Travelling from the Midlands come down the M5 to Junction 8 (M50) and head for Ross-on-Wye. At Ross-on-Wye get onto the A40 signposted Monmouth. Be careful here, do not take the A40 to Gloucester. Once on the A40 stay on it. You will pass through Monmouth and then onto Abergavenny and Brecon. There are other non-motorway routes that you can take, which are more suitable for our motorcycles. Use Hereford as a target and then come down the A465 to Abergavenny and the A40 to Talybont-on-Usk. From North Wales and possibly the West Midlands travel down the A49 to Hereford and then the A465 to Abergavenny and the A40 or the A483 to Builth Wells and then onto the A470 to Brecon and the A40 to Talybont-on-Usk. From South West Wales simple get onto the A40 and head east to Talybont-on-Usk. There will be a program of events over the weekend including 2 or 3 run-outs to local places of interest with something suitable for all tastes. Or you can just lounge about the site and soak up the Welsh summer sun. More details of final arrangements will be available on your arrival on-site. There are two fantastic Pubs within minutes of the rally site, The Star Inn and The White Hart Inn. There are others, but these two take some beating. One has live music on Saturday nights, and they both do bar meals. There is bike hire available in the village, and excellent bike tracks. There is a café and small shop a couple of hundred yards from the rally site. The rally fees are £8.00 per person/night including a rally badge, day visitors £5.00 including badge, children under 16 free but if they require a badge there will be a charge of £2.00 each. Finally overseas visitors – free, incl. a badge. Any members wishing to extend their stay will have to contact the campsite owner and agree camp fees. The same applies to any member wishing to use the main camp site and have electrical hook-up - contact the site owner to arrange. My caravan will on the site from the 17th to the 24th. Will any member who has one of the club’s perpetual trophies from previous rallies, please bring it to Talybont or send to Pete Edwards ASAP. Likewise if anyone would like to donate a prize for the Saturday raffle please bring that along also.